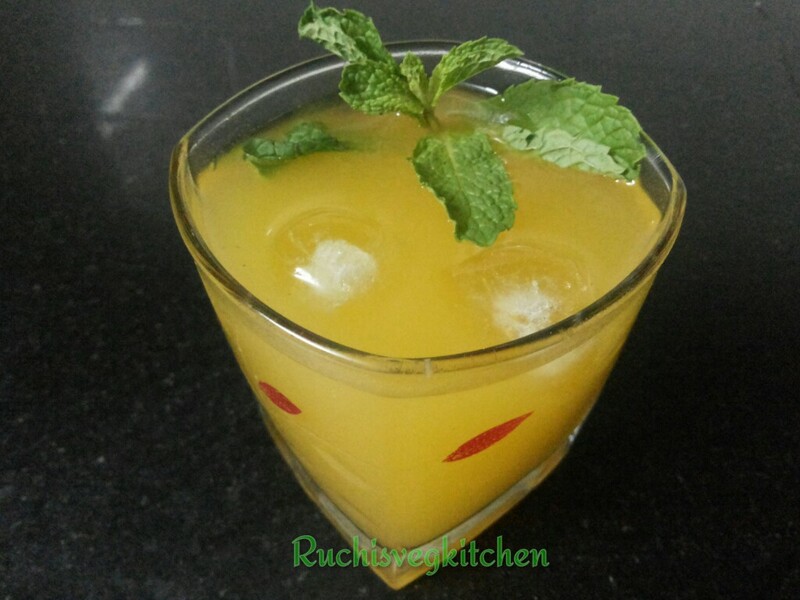 AAM PANNA is delicious sweet and sour drink specially for summer days. Aam panna is an Indian drink renowned for its heat‑resistant properties. It is made from green mangoes and is consumed as a tasty and healthy beverage to fight against the intense Indian summer heat. Aam panna is a popular tangy summer cooler. 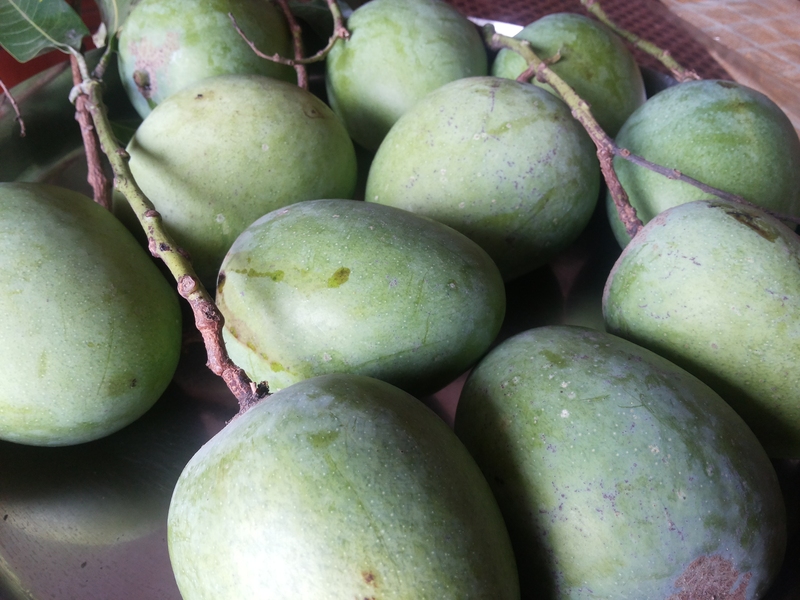 Green mango panna or aam panna is a great remedy for dehydration. It is packed with vitamins too.Here is a simple recipe for how to make aam panna. 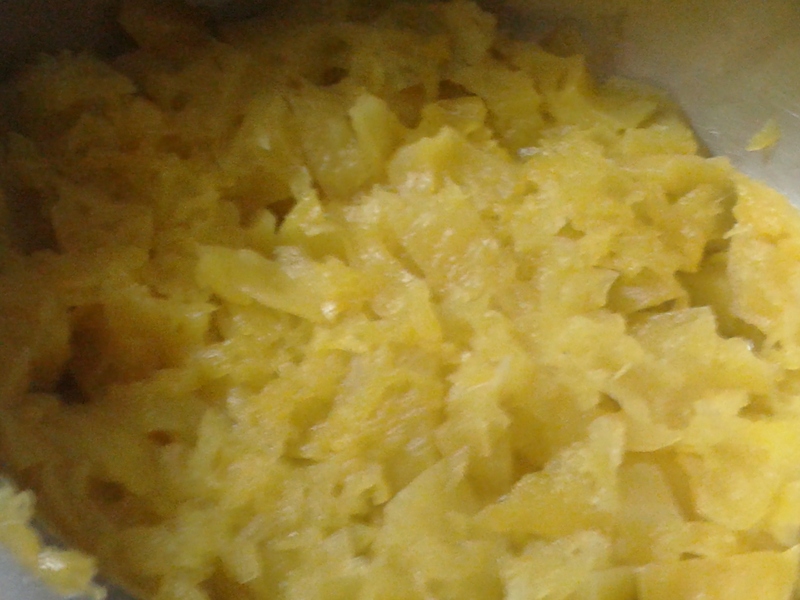 Here i used mangoes are not full raw, i mean by its typical green colour. I used bit yellowish mango from inside. The reason is , such mangoes will be bit sweet too. and that will enhance the taste of AAM PANNA. Here i used Sugar , one can use jaggery , organic brown sugar too. 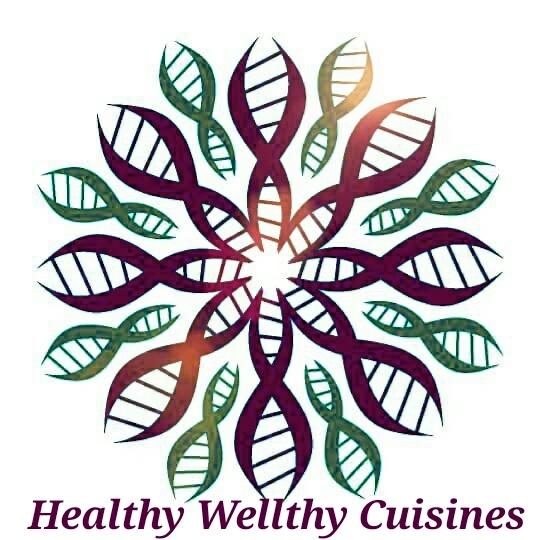 Sugar Quantity may be vary depends on individual Taste. 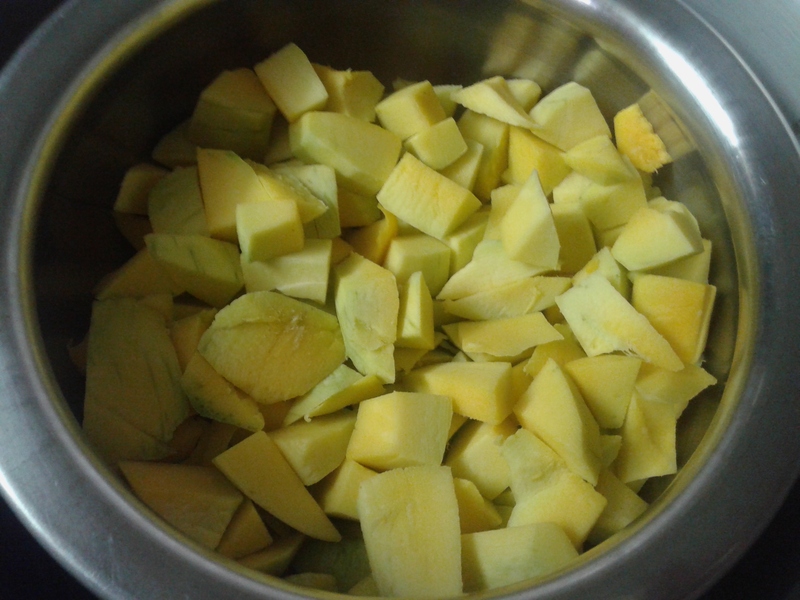 Wash, peel and chopped Mangoes. Take mangoes in a steel bowl. Add 2 cup of water and cook in pressure cooker for 3-4 whistles on medium flame. Allow it cool slightly. 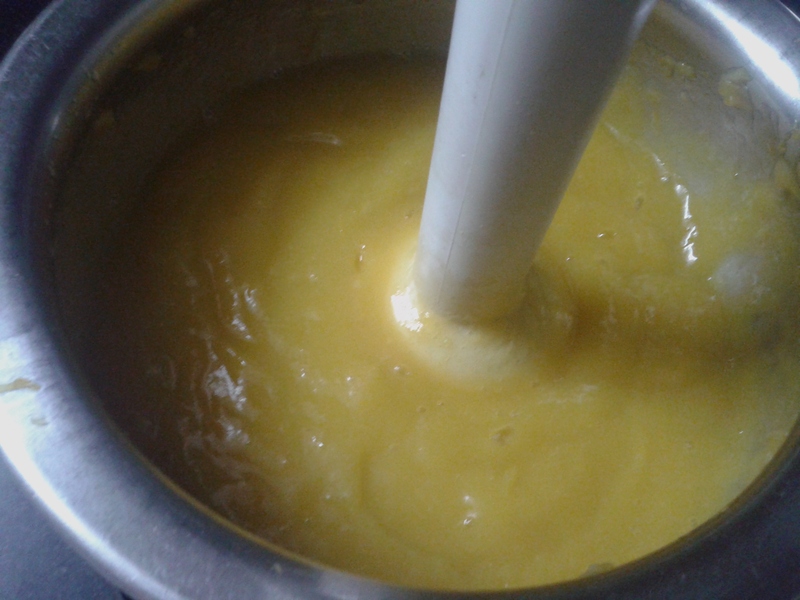 Now grind the pulp by hand blender. Make sure you can a very smooth paste, If you want you can add 2-3 tsp water at this stage. Dont add much water. Take this Pulp into a pan, add sugar and keep stirring on medium flame. 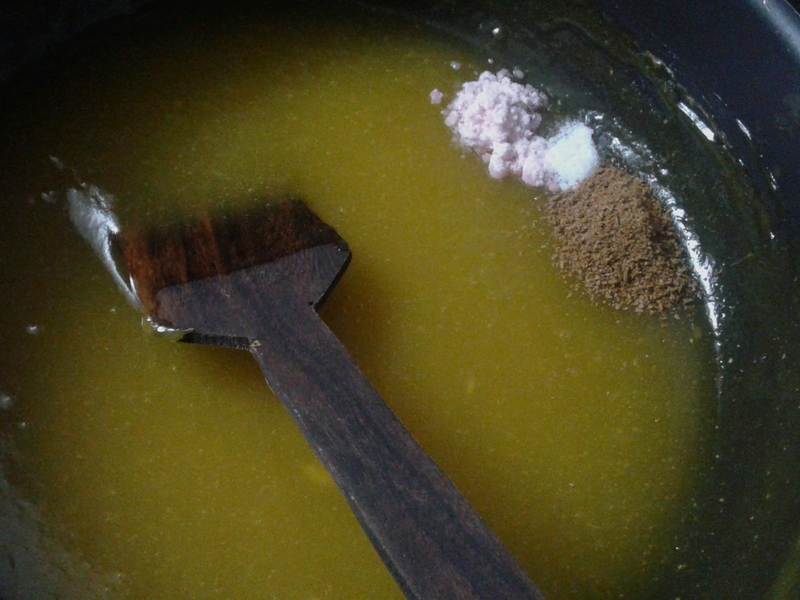 Mix till sugar dissolve fully. Switch off the gas and add Black Salt, Roasted Cumin Powder and Salt, Mix very well and allow it to cool completely. Once cool ,store this mixture in a air tight container and keep in freeze. 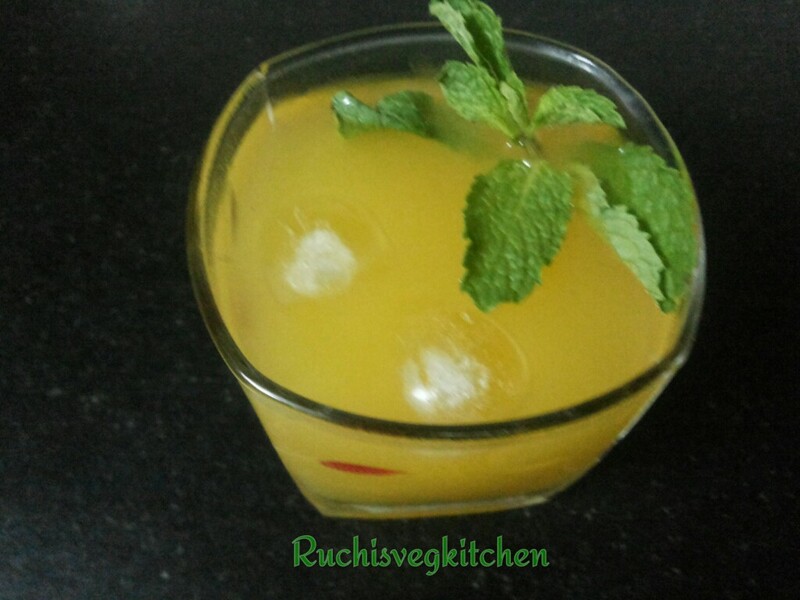 Take 2-3 tsp of Mango pulp, add few ice cubes and chopped mint leaves. Add Chilled water or Soda. Mix well and serve.